Apparently, they do business under different names (dirtcheapbarrels.com is theirs, too) and the reviews are HORRID. However, it did seem that eventually, some of them did get their barrels. Me being me, I had to see if I could, in fact, get a few barrels for the prices listed. I sent an email asking a few basic questions, once that was answered, I sent one seeking availability of the barrels I wanted that went unnoticed. Yes, that was a red flag. Then I sent an email requesting to place an order. You will note that over a certain amount of barrels, delivery is free within 8 hours of their facility. So I ordered an amount that would grant me free delivery. I am 9 hours away from them, but my sister is 7.5 hours away, so I gave them her address. They screwed up that order and had to fix it before final confirmation. 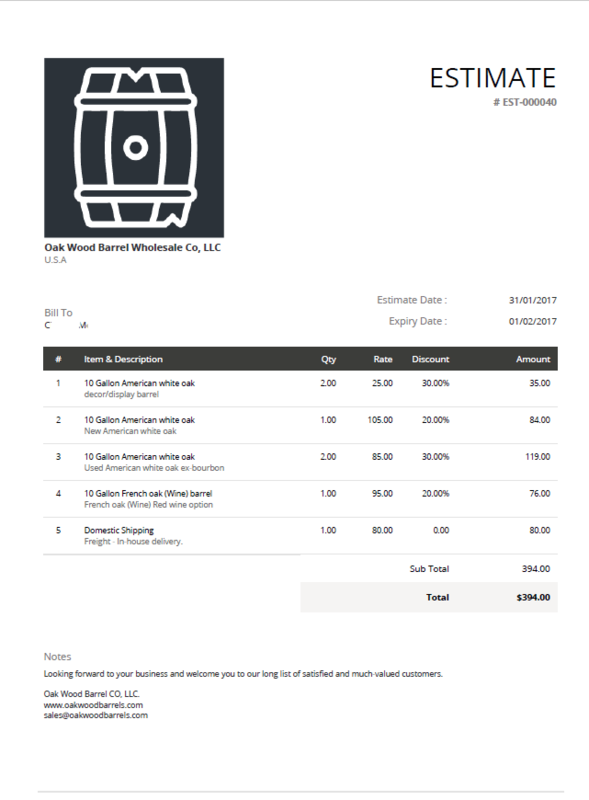 You’ll note that the messed up order had NO delivery charge, but the one that had the correct barrels di, in fact, include a charge for delivery. However, since the total cost was still below the barrels cost, I let it go. Once that was done, I was told that the orders are prepared and shipped within 24 hours and that all orders are invoiced for payment. That is an important point. When you are invoiced for a payment, it means that you are given up to 30 days before payment is due. With that out of the way, I knew I could proceed with this order with NO up front money. This order was placed on 1/31/2017, which was a Tuesday. I am writing this on 3/28/2017 with no barrels delivered and no contact from anyone at the company since 3/17/2017. (WHITE -Chardonnay, Pinot grigio, Riesling, Sauvignon blanc ). We also have freshly dumped barrels that were used for Jack Daniels, Jim Beam, Wild Turkey, Buffalo Trace, Woodford Reserve, Heaven Hill and many other popular brands of bourbon and whiskey. Big Sale:45% Off All Used Barrels, All Sizes. Used Wine (Red) – French oak. Decoration / Display Barrels only. New American White Oak Bourbon, Scotch, Tequila – Aging Barrels. Used American White Oak (Bourbon) – Aging Barrels. Used French Oak Wood Wine (Red) – Aging barrels. This should be $420 before tax and since the delivery address is 7.5 hours from Florence, KY, there should be no shipping charges. Do you sell stands for the barrels? Is this your Phone number? (800)-631-4337 It’s all I could find and there is no answer. I’ll work on this now, would you like to have the quote first before the order is placed? Discount will be applied to the order as well. Accounts manager just sent a quote over, please check your inbox or spam folder just in case. Your estimate EST-000040 can be viewed, printed or downloaded as PDF from the link below. Looks great, let’s do this. When you’re ready we can have the order prepared and shipped within 24hours, and we do have all quoted barrels available. Delivery takes about 3 days to NC. All we would need to get the order started is a full delivery address and contact details. We invoice for all payments. Here are the details. Let me know if you need anything else. Thanks C , We’re working on the order now. I’ll have confirmation for you in a minute. The order has been submitted. I’ll make a note to get your order prepared and ready for delivery tomorrow morning. I’ll keep you posted before and after the barrels ship. An invoice has been sent over, please check your inbox or spam folder just in case. Thank you but the invoice does not reflect what was quoted and agreed upon. I’ll get this fixed and resent now, before we leave the day. Apologies, the order has been corrected and re-sent. The accounts manager sent over the wrong order, but it’s been fixed and we’re getting this prepared for shipping tomorrow. Great! Thanks again. Should I expect these on Friday, Saturday, or Monday? Once the order goes out tomorrow, it’ll take up to 3 days, I’ll have an exact ETA for you tomorrow sometime along with shipping confirmation. 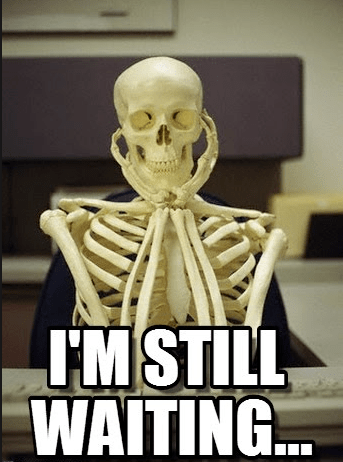 Any update for the shipping timeline? You contact them here – Truck direct cell number is 562-246-9598 . The barrels have shipped, you can call or text them if they are driving and someone will get back to you with an ETA. I just tried and left a message, so they must be on the road. I’ve sent texts and left voice mail but have not heard anything back from the driver. Any idea when they will arrive? I’ll likely be working and will have to leave to meet them. We just tried calling and texting them with no success, I will keep working on getting in touch with someone on the truck, I did leave a detailed message for them to contact you right away with an update. 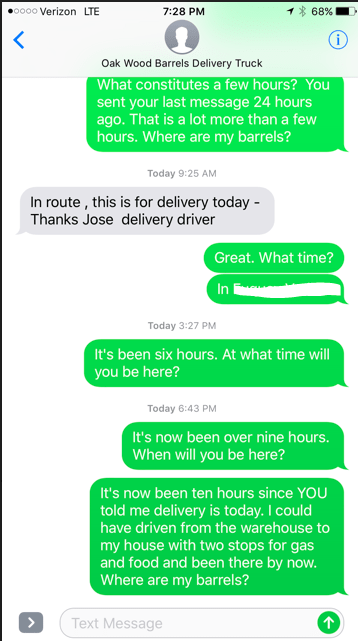 Jose finally texted me back on Monday and told me he would make the delivery the following day (Tuesday 2/7). I haven’t heard from him since. No barrels delivered, no response to texts or VM. They should have been there by now with that delivery, Give me a few minutes and I’ll track these guys down and provide an update for you. Thanks and apologize for the inconvenience on this. Have you heard anything from them? I moved meetings around on Tuesday so I could accept the delivery. Now I have no idea when they will show up or if I will be able to get away. I had the delivery going to my sister’s house since it was within the 8 hour delivery window. Any chance to change it to my house which is 1.5 hours further away? Yes, please provide the updated address and They said someone on the truck is going to contact you tonight with the arrival time for the order, with the new address I assume now it will be a different delivery time. I’ll wait for the address so that I can get it over to them right away. Thank you, the address was just updated with the delivery team, someone will be contacting you via phone with an ETA. There has been no contact to this point. I think that delivery today is a reasonable expectation. It’s been a week and a half and I was told three days. Even if including only business days and NOT including the day they left, Monday 2/6 should have been the latest possible day for delivery. They left on Wednesday 2/1. This is now Friday, 2/10. You have been in constant communication with me and I am grateful for that. This is an issue with the delivery and the drivers, not with you. I would, however, expect the delivery today. It is a nine hour trip from my house to your location in Florence, Kentucky. I could have made the trip and return in one day. Understanding that they have a commercial truck and license, they would be allowed to operate only eight hours per day. Allowing for other deliveries and travel, three days sounded sufficient and I had no issues with that. When the driver contacted me on Monday 2/6 and said they had to stop for the day and would deliver the next (2/7), I happily agreed. I understand that they have a log book and certain hours to maintain. I have not heard from them since then. You have been very kind and helpful, even allowing for a delivery address change. I thank you for that. However, I do expect to accept delivery today. Please do what you can to make this happen. They said they made contact with the truck last night, I will do all I can to make sure this gets delivered and I’ll keep you posted every step of the way. I’m also going to request that a partial refund get processed today for the inconvenience. Thanks and I’ll keep you posted on this. I received a text message from Jose, the delivery driver, yesterday at 7:51 AM informing me that he would contact me in a few hours for delivery. 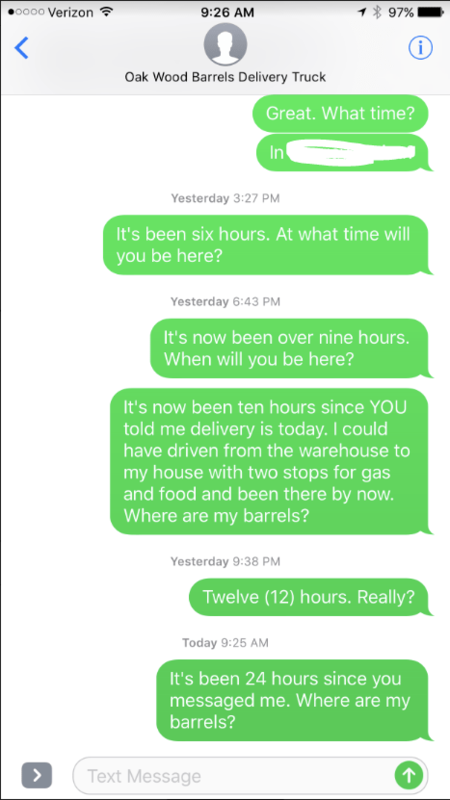 This morning, at 7:51 AM – a full 24 hours since Jose contacted me – I asked for clarification and where the barrels were that I had ordered. I have not heard ANYTHING from him to this point (7:51 PM a full 12 hours since I texted Jose). I do find it curious that the only contact I have had with Jose has been on Mondays. On no other days is he able to be reached or will respond back to me. I have attached my full conversation log with Jose since the first time I had contacted him. I really need to know when (or if) these barrels will arrive. 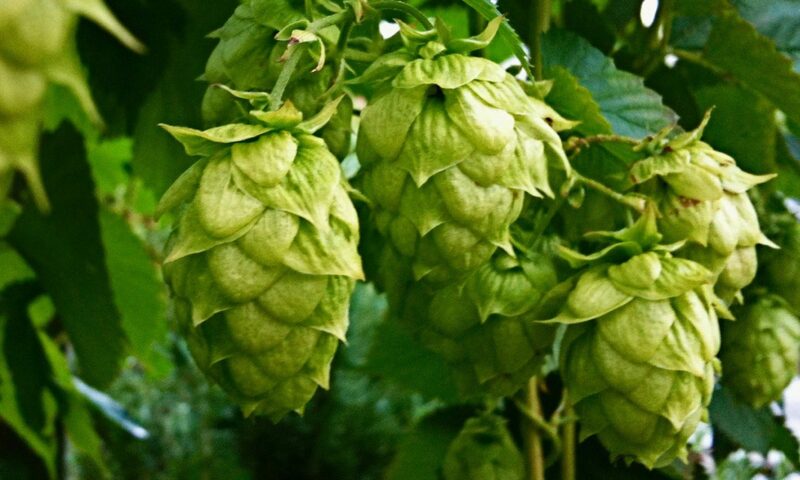 I need to prep them and get them ready for use as I have 40 gallons of liquid awaiting the arrival of these vessels. Yes, I know. You will try to contact him and it will be a day or two before you tell me that he has received the message and then on Monday (2/20) he will send me a vague text stating that he will contact me later for the delivery. He won’t contact me later and I will still not have the barrels. I’d like to have the barrels that I have ordered. You mentioned a refund or discount in the last email you sent. I’d like to know how much that would be. This is beyond the point of inconvenience. We’ve been having difficulties reaching the truck since this morning and there’s no excuse for the lack of communication and delay with this delivery. for a FedEx shipment as the last option. There was no delivery or contact today. We are preparing for a FedEx delivery to go out tomorrow, I’ll work on getting this to you the fastest way and option possible. I’ll provide an up and tracking number for the order once it goes out. We’re locating him, just hope they didn’t go to a different address. Truly sorry for the delay on this. We’ll get this resolved. I hope this means I will receive my FedEx tracking number today. It was at 12:21AM yesterday that you said you were “preparing for a FedEx delivery to go out tomorrow”. This is that tomorrow. you will receive an email notification from myself or him with the new shipping details. We are also trying to locate this guy that has the order now as well, we spoke to them early yesterday. Is the new order going out via FedEx? What is the update for today, please? 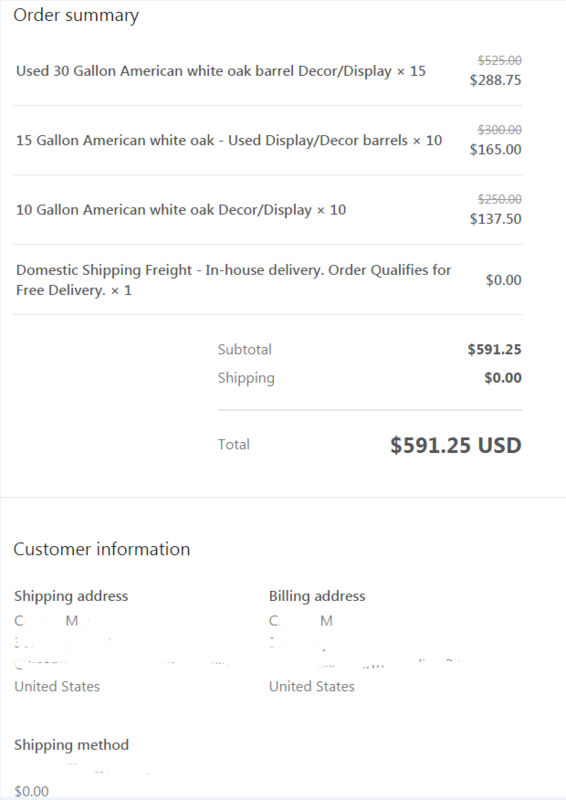 What is the update on the FedEx order for my barrels? What is the update for the initial order of my barrels? It has now been a full week since I have heard from you (or anybody from your company). You are no longer responding to my emails. You have never provided a phone number even though I had requested one. Your delivery Driver is no longer responding to my text messages or voice mails. Your “Account Manager” has NEVER contacted me. It is now February 24, 2017. This has gone on long enough. When can I expect my barrels? We have a contract, uphold your end. Truly sorry for the delay, I’ll see to it and make sure that a delivery is made this week and I’ll have a partial refund processed today on the order. Again apologize for the poor communication on this as well as the extensive delivery delays, you got my word that I’ll will make sure that this is resolved quickly. I have remained silent this week because you assured me that the barrels would be delivered this week. You gave me your word. The barrels have not been delivered. Now what? Yes, the order has be re-submitted and we have a new driver making delivery, right now looks like you should have the order on Monday/Tuesday. Once again I apologize for the serious delays this has caused you and if acceptable the delays it has caused your business. What happened to the promise of a FedEx Delivery? Or to the promise that they would be delivered this week? Why am I to believe that they will be delivered Monday/Tuesday? By my count, this is the 4th time the order has been resubmitted. All I want are the barrels that were ordered. At this point, that seems to be too much to ask. It is now 5:00 PM on the Tuesday you stated that I should have received my newest/latest shipment of barrels. Guess What? NO BARRELS! It’s now Thursday. Are you intentionally avoiding me? What all the reviews above do not mention is the fact that the act that has been perpetuated is a form of Mail Fraud and is a Federal offense. So, before this goes any further, I need my barrels. When will they be here? No more games. No more fake delivery days. If you have to send a new shipment, send it either FedEx or UPS so I can track the shipment and delivery. I expect the tracking number at the close of business on 3/10/2017. I have been MORE than patient. According to the reviews, there is NO reason for further patience. I want my barrels. This company has been under new management for the last 60 days now, I apologize for any negative replies. I’ll have an update for you later on tonight. Please read through to see my full experience with your company. 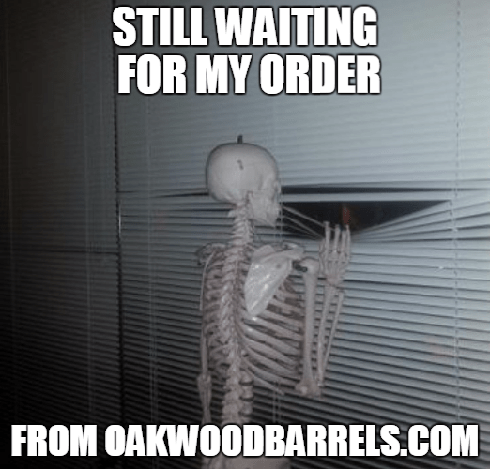 I am still waiting on my barrels, the order was placed on 1/31 and I was told that it would take three days to be delivered. You told me that you would send me an update last night. Another empty promise. New week, new hope. Whats the update for the day? So apparently there was no update for yesterday. What’s the update for today? If you’ll remember, we are now a FULL WEEK after the date you stated the latest delivery would arrive. I still have ZERO barrels. Truly sorry for the wait on this I was traveling out of state the last few weeks. Thanks for the email I look though everything and will get a resolution done on this matter today. I just tried to refund the order but I’m not showing any payments under your email or name. Did you pay for this under another name or company? Please send all emails and contacts directly to me. Did you read my last email? Did you pay under another name? 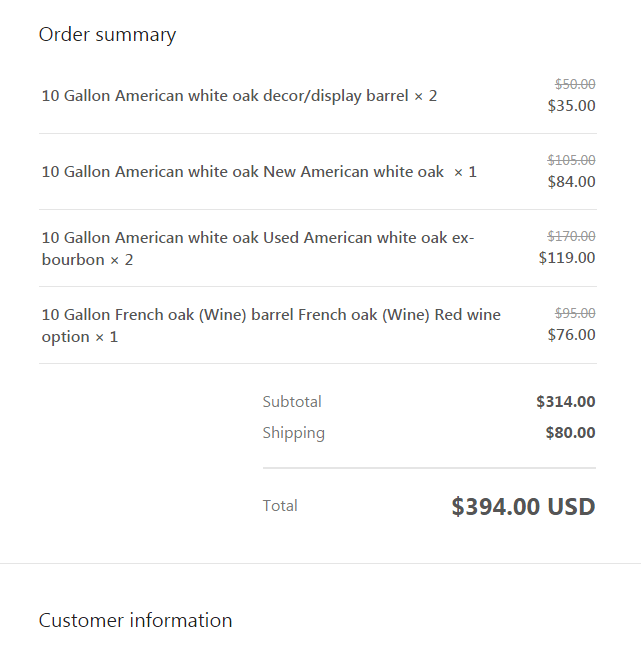 I only see the order, but no payment was made, I would like to refund your payment and still get barrels delivered today. Once the barrels are delivered we can talk about payments and refunds. Until then, it doesn’t really matter. How will this be taken care of? Will this be a FedEx Delivery? When should I expect the barrels? Hey, sorry for the delay I needed to make a few calls to in order to get some barrels out to you. I’ll have an update for you tomorrow and will get this done. It shows as a landline in Los Angeles. This is still unresolved, strangely enough, they have stopped responding to communication. I purchased barrels from them too and got nothing.